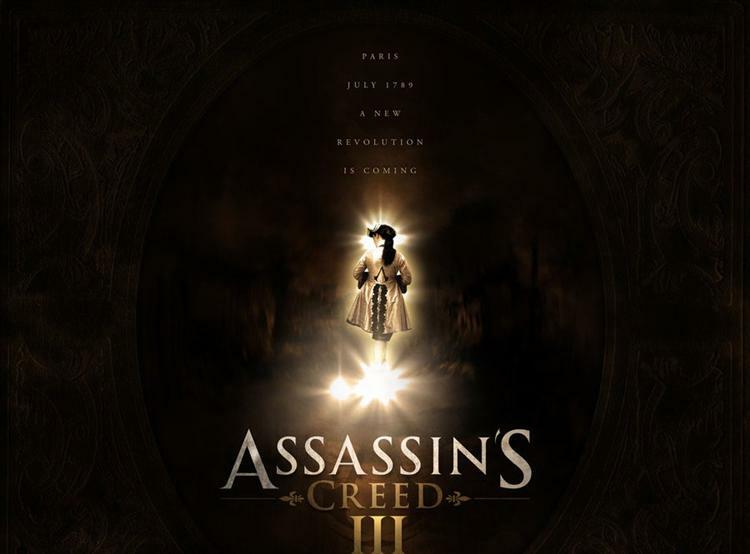 New Assassin's Creed 3 artwork could be hoax, is still awesome. Stumbled across on GameFaqs and also reported as rumor on Gameinformer.com, new artwork seems to suggest Assassin's Creed 3 will take place during the French Revolution. Prominently displayed are the words, "Paris," "July 1789," and "a revolution is coming." Forum commentators are calling it fake, but they are certainly not the arbiters of truth. Real or fake, I call it cool. Ezio and the Renaissance is played out. Assassin's Creed 3 needs a new setting and hopefully that means a new central character. However, 1789 is well into the era of firearms, so their increased usage would be a forgone conclusion and I know that bothers some of the more diehard fans; Ezio's hidden pistol was enough for many of them. I say, as long as it doesn't become a third person shooter, who cares? More guns, probably means more "difficulty" - also known as AC2's and AC:B's biggest failings. But I'm getting ahead of myself. It could still turn out to be totally bogus. Decide for yourself.